Bromo view hotel in Probolinggo can be one of the ideas for people who are going to plan a fun vacation to Bromo. That is a hotel which is not really that luxury since it is a type of basic style hotel. That is why the cost of this hotel is also not really that high compared to the star hotels. When you are hunting a hotel for your vacation somewhere, you could not choose it in random since it can be so disappointing if you make a mistake. That is the reason why you need to be really careful on dealing with the right choice of the hotel. That is something good for you to be much more careful on making a decision of the hotel choice. If you are going to book a hotel, for example a room in Bromo View Hotel, it is better to get the complete info about the hotel first and decide whether it is a hotel which is really suitable for you or not. 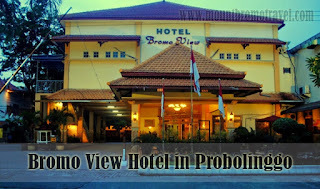 Bromo view hotel in Probolinggo is a type of basic and standard hotel with the hotel rates start from less than 400,000 rupiahs. This hotel is one of the good ideas of hotel options for any of you who want to enjoy visiting Bromo but need such a comfy yet affordable hotel. This is a basic hotel with the basic facility including the facility of WiFi for the guests. There is also the restaurant in the hotel. The Check in time for this hotel is on 2 p.m., while for the check out it is about 12 noon. If you need a basic hotel which is still comfy with a kind service, this hotel can be a good option for you. Bromo View Hotel is situated on Jln. Raya Bromo Km.5 near with Lava-Lava hotel and resto . That is really strategic since the hotel is near the various tourist attractions which can be enjoyed, as like Jabung Temple which is located only about 32.5km. To reach Bromo from this hotel, you only need to deal with the location which is only less than 32km from the hotel. This hotel is also situated only about 39km far from Bromo Tengger Semeru National park. If you love visiting museum, you will be able to enjoy Museum Probolinggo which is located only about 4.5km from the hotel. That is why it can be such a good idea for you to deal with the simplicity when we are choosing a hotel, for example the Bromo view hotel in Probolinggo.